On behalf of admin of JML Law, A Professional Law Corporation posted in Truck Accident on Thursday, Jun 28 2018. Did you know that your online shopping habits may be contributing to the increasing occurrence of truck accidents in Los Angeles and all across California? Answer this question: Have you ordered something online through an e-commerce website over the past week or so? If you are nodding your head in affirmation, chances are you have played a role in causing a truck accident or, at the very least, terrible traffic jams in Los Angeles or elsewhere in California sometime this past week. While nobody is going to file a lawsuit against you over this, consumers in California are not aware of the risks and dangers that come along with shopping online. Our Los Angeles truck accident attorney explains that urban areas in LA and all across California have seen a dramatic surge in commercial truck traffic in recent years. And each of the e-commerce consumers contributed to this unbelievable surge, submerging California’s trucking system in the state of chaos. 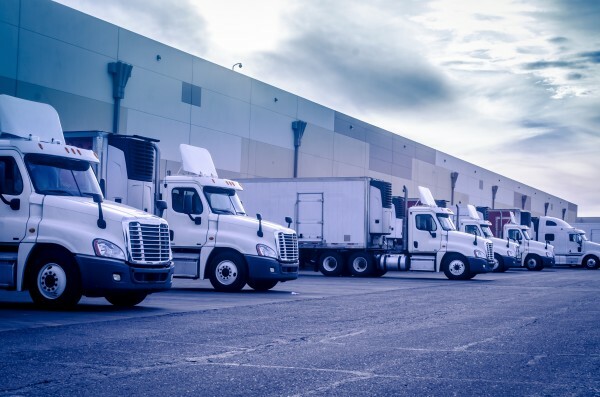 As an increasing number of consumers in California ditch physical grocery stores, outlets, and shopping malls and opt for shopping at e-commerce sites, our state’s transportation system is under a lot of stress from the constantly rising demand for trucks. Trucks and the demand from consumers and their trucking companies alike to transport goods within a short period of time and comply with ridiculously unrealistic deadlines result in hundreds of truck accidents in Los Angeles alone each year. As the urban population in LA continues to grow each year, the increasing popularity of online shopping is expected to contribute to even more truck accidents in the city and all across the state in the coming years. Why does online shopping contribute to truck crashes in LA? In order to explain why e-commerce has created such a tremendous challenge for California’s trucking system, it is important to understand that our state’s roads and transportation system were not designed for so many trucks. “The more trucks drive on the roads of Los Angeles and California, the more traffic jams and truck accidents occur,” explains our experienced truck accident attorney in Los Angeles from the JML Law. For many decades, the goods used to be transported to grocery stores and malls daily, bi-weekly, or weekly so that consumers would converge in one place, purchase goods, and then transport them home in passenger vehicles. Although it does not mean that truck accident did not occur before the era of e-commerce, the occurrence of truck crashes has increased dramatically due to California’s online shopping habits. Some e-commerce companies offer the delivery within hours from the moment you placed an order on their website, while others tend to deliver goods to consumers’ doorstep within 24 or 48 hours. One stop after another, these trucks deliver goods straight to consumers in their homes, resulting in an increased risk of truck accidents in Los Angeles. E-commerce giants have yet to change their current delivery practices in a way that would help decrease the number of trucks delivering goods to consumers’ homes. “Needless to say, those tight deadlines put additional pressure on truck drivers, who are more likely to violate traffic rules and make mistakes when operating the vehicle under stress,” says our Los Angeles truck accident attorney. Have you been injured in a truck accident in Los Angeles or elsewhere in California? Contact the JML Law to schedule a free consultation and speak about your case. Call at 818-610-8800 or fill out this contact form.